Low cost or top of the range, the dishwasher is one of the most common appliances in a kitchen, whether large or a simple kitchenette. Not sure whether to choose a portable air conditioner or a fixed one? Not sure what the appropriate temperature or type of maintenance is? There are always many doubts when it starts to get hot: we have answered five frequently asked questions and if you are thinking of buying one thanks to us you can save. The integration of the kitchen in the home connected is a fact. 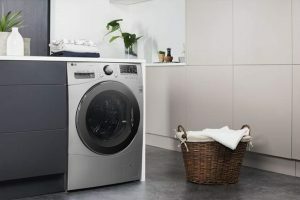 Today we find appliances that go on to offer permanent connection thanks to the WiFi home network, which allows both its remote management and use beyond the functions for which they were originally planned. Which built-in dishwasher to buy? Many models and specifications to consider, let’s see together the best models on the market. One of the simplest formulas to improve the flat sound of our increasingly ultra-thin televisions goes through the installation of a sound bar, although the market is full of models with multiple functionalities and different configurations.